The following results were taped this Saturday, January 26th at WWE Royal Rumble Axxess events, and features the entire first round of the highly anticipated WWE When Worlds Collide tournament, which will be distributed across the company’s social media platforms in the coming weeks. 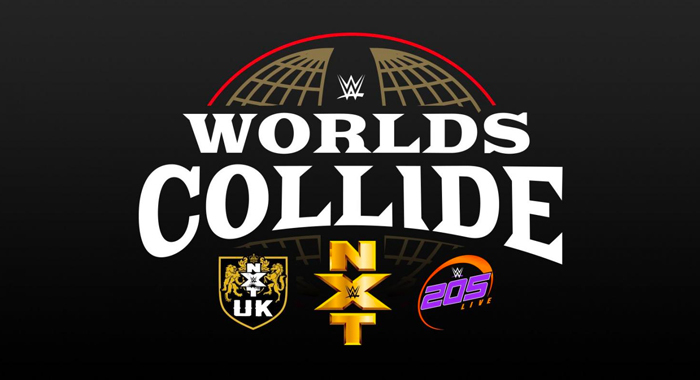 So advancing to the second round of the tournament are TWO stars from 205 Live, FOUR stars from the WWE NXT brand, and TWO stars from NXT UK including Jordan Devlin, who of course won the opening Battle Royale. It’s not clear if they have plans on running these same brackets or shaking things up for the second round, but if they hold, Tyler Bate vs. Adam Cole, Velveteen Dream vs. Humberto Carrillo, and of course the indie dream match come back to life, Keith Lee vs. Donovan Dijak could all be match of the weekend candidates.